THURSDAY, July 21, 2016 (HealthDay News) -- Having scans after treatment does not improve thyroid cancer patients' chances of survival, a new study shows. Researchers from the University of Michigan looked at more than 28,000 patients in the United States who were diagnosed with thyroid cancer between 1998 and 2011. After treatment, 57 percent of the patients had at least one ultrasound, 24 percent had a radioiodine scan and 15 percent had a PET scan to monitor for signs of the return of their cancer. Patients who had scans were more likely to undergo further treatment, such as surgery, radioactive iodine treatment or radiation therapy. However, patients who had scans were as likely to die as those who did not have scans, according to the study. 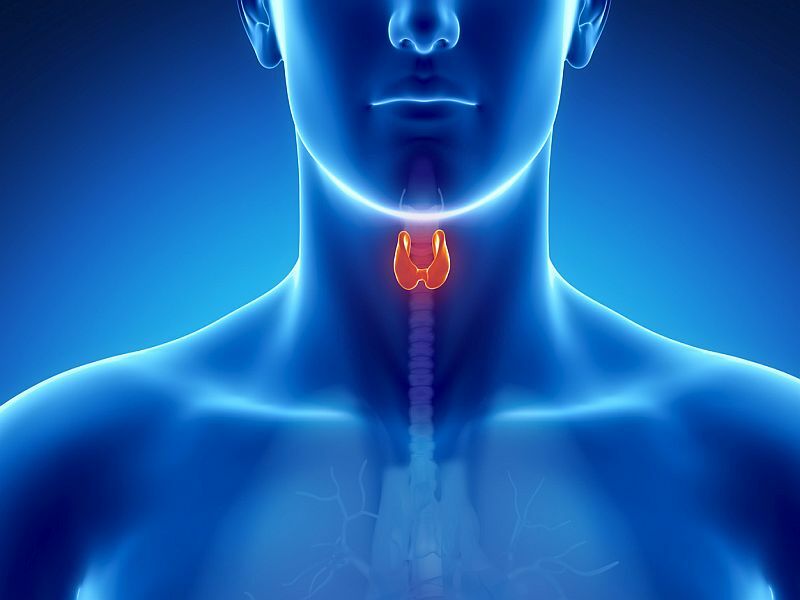 "Over time, we have seen this marked increase in the use of imaging after primary treatment of thyroid cancer, despite the fact that the majority of our patients have low-risk cancer. For the most part, this imaging isn't affecting survival," study researcher Dr. Megan Haymart, an assistant professor of medicine, said in a university news release. Study author Mousumi Banerjee, a research professor of biostatistics, said, "With this post-treatment surveillance imaging, we're picking up more recurrences. But is that clinically significant? We might be picking up really small lymph nodes that if left untreated wouldn't have impacted survival." There has been a sharp increase in the use of scans among patients with low-risk thyroid cancer. Thyroid cancer has a high survival rate, with 96 percent of patients still alive after 10 years. However, a small number of thyroid cancers are aggressive and likely to return, the researchers said. "There is a place for imaging in thyroid cancer survivors. But the specific type of imaging needs to be tailored to the patient," Haymart said. "When we have a patient with a favorable prognosis, certain types of imaging may not be necessary. But there is a group for whom it might be appropriate." The study did find that radioiodine scans (where radioactive iodine is injected or swallowed and a camera is used to detect possible cancer spread) were associated with improved survival. These scans are best used when blood tests indicate increased levels of a certain tumor marker and the patient is known to be responsive to radioactive iodine treatment, the researchers explained. The findings were published July 20 in the BMJ.